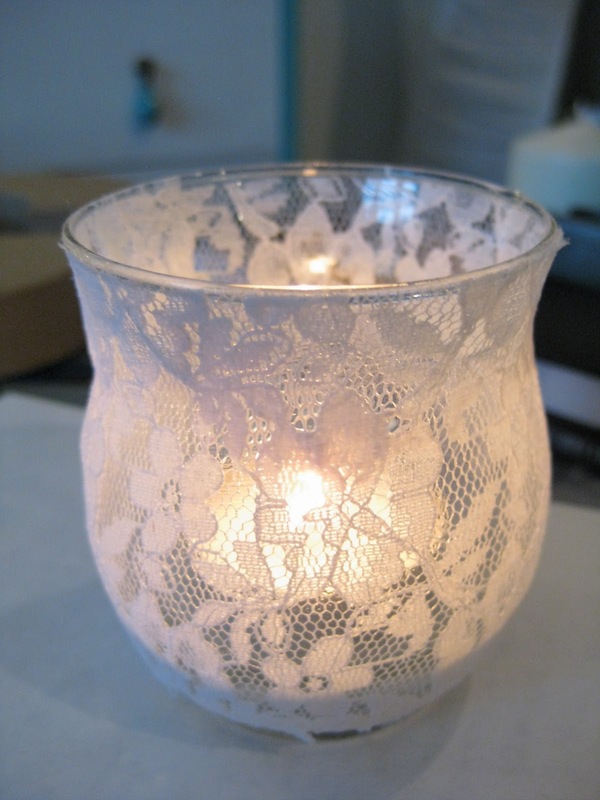 The technique is similar to decoupage. 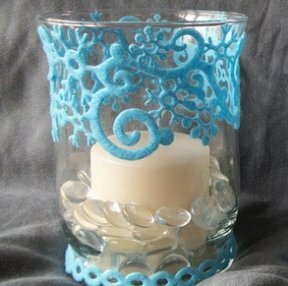 Apply a layer of ModPodge and glue the lace to the glass surface of your jar. Make sure your jars are clean and smooth. Wait for the glue to dry. When it is ready apply another layer as a top coat. 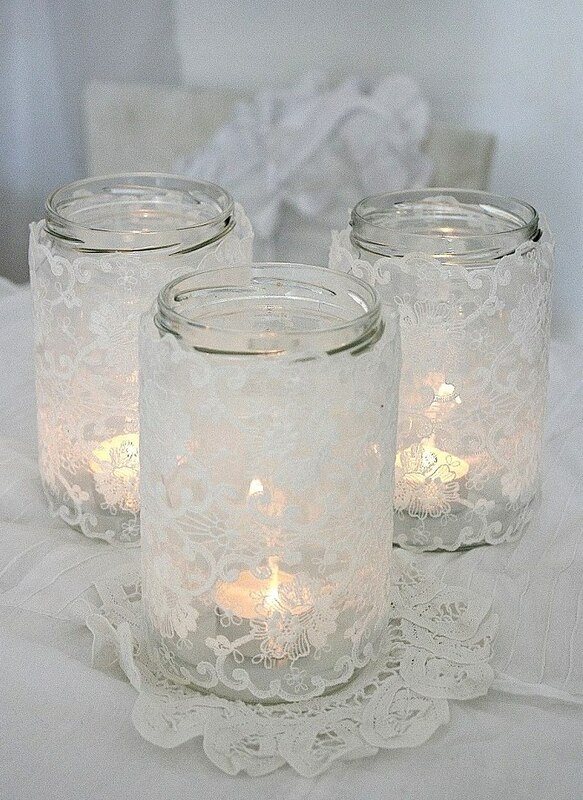 Wait for this layer to dry, place a candle inside and enjoy your romantic candle holder in a vintage style. 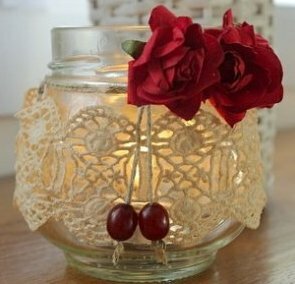 Such jar will also spare you from having to clean wax stains after. Hope you had fun, please do share your images if you’ve made something like this! 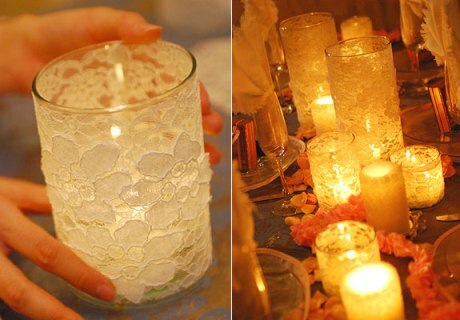 Here are other ideas that are also very pretty and effective. 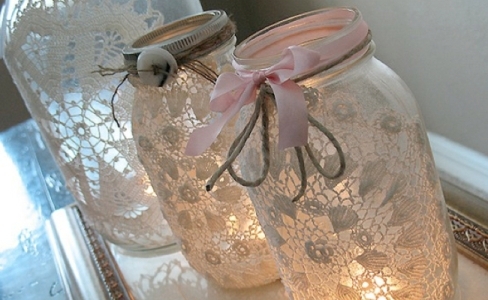 No one said you should only experiment with old mason jars you can use old glasses, vases, etc.